Want to advertise a product to a highly targeted email list using Facebook or any other forum? Have you ever thought of including commenters’ email addresses in your email list? Later I will show you what you can do with this list, but first let’s learn more about this plugin. What to do with your exported email list? Hint: It’s money! To begin, you need to install this free plugin called “Commenter Emails”. You can check out the official plugin here. After activating the plugin, click on comments > Commenter emails and there you will find all the qualified emails that you can export. 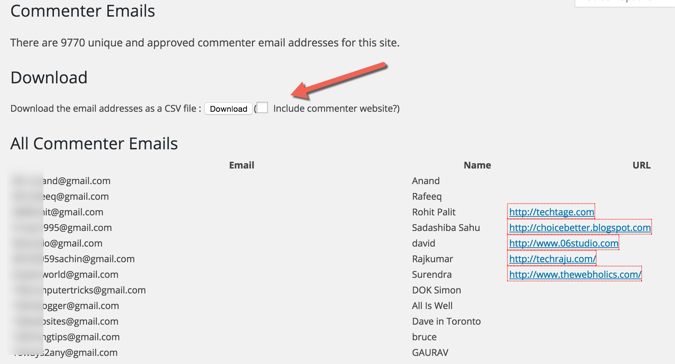 If you want to export the website URL of the commenter, you should check the option “Include commenter website”. Click on download, and this nifty plugin will create a .csv file for you which contains the names and email addresses of your blog commenters. 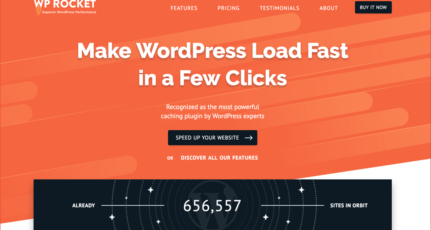 The reason I find this plugin impressive is that it lets you download emails from only those commenters who are approved and live on the blog. This way, your list is of great value. I use Aweber for email marketing, and it lets me import an existing email list. I can import a list as single-opt-in (meaning no confirmation email will be sent), or as double-opt-in. I would recommend that you use double-opt-in, because if you send an email blast without users subscribing to it willingly, you will see a huge spam rate, and a good email marketing tool like Aweber might block your account. Alternatively, you can use a service like MailGet to send email blasts very inexpensively. MailGet utilizes your Amazon SES account, so again you would want to ensure that the email sent is targeted and of high-quality. Do you know that you can target any ad on Facebook based on an Email list that you have? This feature is called custom-audience, and you can target anything based on the email list you have. I tried this feature for getting more installs for the ShoutMeLoud Android app, and the result was great. All you need to do is select the “create new custom audience” option, upload the .csv file, and in a while your custom audience (based on the email list) will be ready. You can use the same list an unlimited number of times to re-engage with users who have interacted with your blog previously. You should also check out this plugin which lets you send an email to all registered users of your blog. 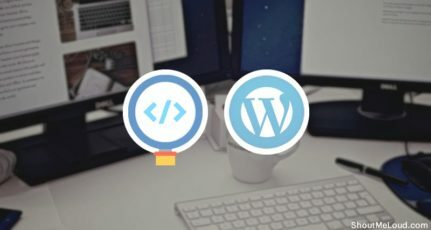 Here is an alternate plugin which allows you to download your posts, pages, custom post types, comments authors to .xls or .xlsx format. I’m sure there are many more ways to engage high-quality email lists. I would be interested in your insights if you would like to leave them in the comment section below. Great Tips. Is it also possible to extract all emails from our Facebook likes? Can we extract? Even I’m looking for one such solution. That would make Facebook marketing cheaper for us. Do let me know if you stumble upon something which let us do that. Hey Harsh it is really a good way to add more subscribers to my mailing list. Can you tell me This will work for Disqus Comment System or Not? Good plugin, especially the characteristics such as removing duplicate email address automatically and website URL of commenters are nice. The email list that we can export in simple steps within seconds. The tools for email marketing I have not applied before, now I am thinking to employ it. Still, my little bit hesitates about its expense and blocking issues. Definitely, I have to use Add Subscribers option, it is good idea. The “create new custom audience” feature to anything based on the email list we have, is truly useful. We can use the same list for unlimited times to reconnect with the users. I acquired the ways of tools to implement. Obviously there are many tools, but the recommended tips and tools can give actual benefits. Thanks for sharing this great plugin. One of my blogs have a lot of comments, so I was looking for an option to extract the email IDs. Great work! Its really time saving! and i too started email marketing very late but do you think is it okay to add the emails of commentors in our email list. Won’t it hurt our brand image? That’s a good question & it might hurt your brand reputation if you are adding people email without explicit permission. It all depends what approach you take to make use of such email list. Excellent tips to create a email database out of people who placed comments on Blog. It is useful for us to increase the database of targeted people. Do we have an option for interest based separation of emails form Blog comments? That’s an interesting question & right now there is not any solution that I know of. Though I see no problem creating one such plugin which let us export commentator emails based on category. 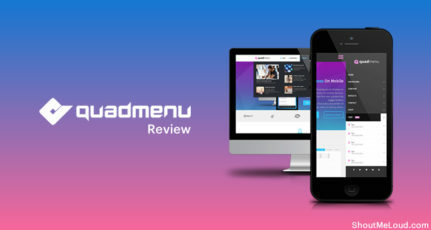 If you have suggestion for advanced tagging, let me know & ShoutMeLoud team will develop a plugin for you.